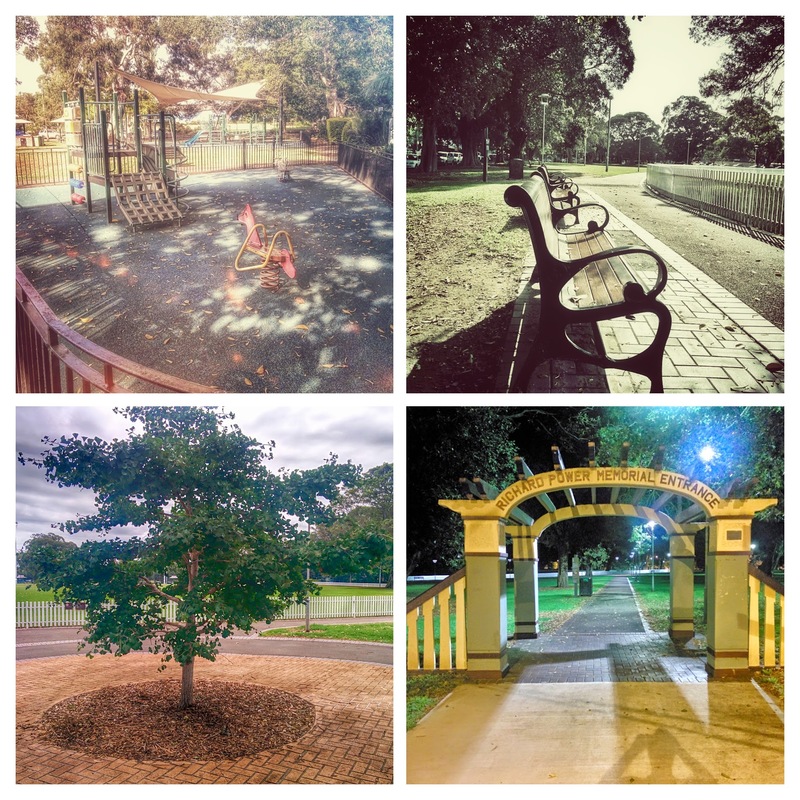 Alexandria Park is a dog friendly suburban green bordered by idyllic Buckland Avenue to the north and Wyndham Street to the west. Popular with dog owners, there’s also plenty of space to sit and read a book, so long as you don’t mind a few canine friends. Large fig trees provide ample shade throughout the park. The north eastern corner caters to families, with a BBQ area and children’s play equipment. The play areas are fenced off to keep the dogs out. Covered benches and tables mean this area is in high demand on weekends. A curling length of picket fence borders the playing field from the dog friendly park. Dogs are prohibited in the playing field. During winter it hosts local football clubs, with cricket in the summer. The basketball courts are free to play, though Sydney’s Bike Polo Club compete there two nights a week. You can book the Alexandria Park Tennis Courts here. There are several cafes nearby including the corner of Buckland and Wyndham, Buckland and Mitchell and on Power Ave. The south eastern corner of the park is home to a small bat colony. The walkways are lit at night, but susk is the best time to see them in action. Walking down the western path of Wyndham street by night you will hear them flapping about. Alexandria Park is midway between Green Square Station and Redfern Station, both of which come out on Wyndham Street. There’s no dedicated parking, so you’ll need to find street parking. On weekends when school’s out, you might find something on nearby Park Road. You can also catch any bus that goes to Wyndham Street, Botany Road, or Mitchell Road Alexandria, as all are nearby. Alexandria Park on the map.